Most parameters named Password have been changed to SecurePassword. They’ve always been a SecureString data type but this makes that clear. Reset-DbaAdmin actually has output now! This was a big oversight for an otherwise incredibly useful and cool command. I also added a -SqlCredential parameter to make passing secure passwords easier while still staying secure. 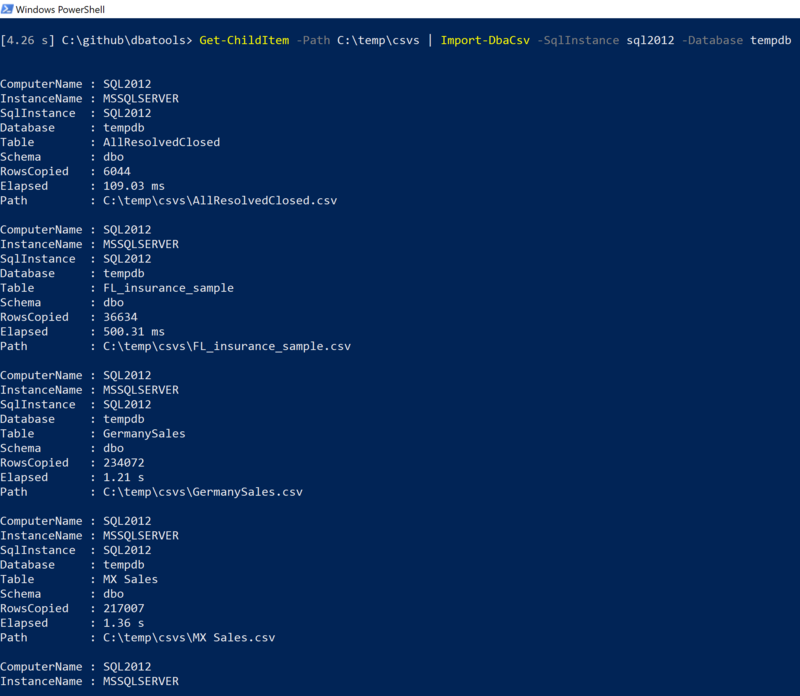 The Credential parameter in Connect-DbaInstance has been changed to SqlCredential and an alias to Credential has been added. Also, we fixed trusted domain support in both our internal and external Connect commands. So if you’ve ever had a problem with that before, it should work now. Aliases have not been created for commands using these parameters so these are breaking changes. Parameters and output columns containing MB have been changed to the parameter or column name without MB. For instance SizeMB -> Size. Corresponding documentation and examples have been updated as well. Parameters such as NoSystemLogins have been changed to ExcludeSystemLogins. The basic rule I followed when determining what would change was keep No for Verbs and Exclude for nouns: NoVerb, ExcludeNoun. Note that it does not work for the breaking changes released below (they are massive) or any of the Exclude parameters in Start-DbaMigration since the change wouldn’t be a one-to-one and I’m not good with regex. Invoke-DbaDbShrink now has better column names. 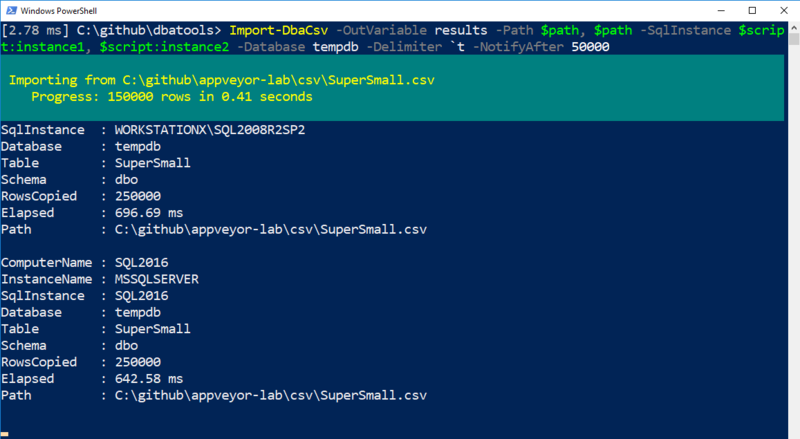 I’m so happy to announce that Import-DbaCsvToSql has been renamed to Import-DbaCsv and is now usable and reliable for most CSVs. The original command was ultra fast, but it came at the price of reliability. I found myself never using a fast command because it so rarely handled my imperfect data. That’s been fixed and the command is still pretty darn fast. Writing more in-depth about this command is on my todo list, but I love that you can pipe in a bunch of CSVs from a directory and smash them into a database. Everything is done within a transaction, too, so if the import fails, the transaction is rolled back and no changes persist. K that should do it for breaking changes, at least until we’re closer to 1.0. We’re trying our best to ensure you don’t get too frustrated while we make necessary changes, and we thank you for your patience. The bug bash is going incredibly well! We’re now down from 90+ open bugs to just 25 minor bugs 😍 Huge thanks to everyone who has helped bring our count down to such a manageable number.